Hop on the bus, Gus. Value Shipping 101. If you were not aware that buses are moving merchandise all over this country stowed below their passengers....you are not alone! Yes, this is an economical way to move non fragile large items to your home from across the country! I will attempt to give you a crash course in everything I learned shipping via this quirky method in this update. First off, i specialize in small items like chairs and side tables. I have not pushed the size limits and although i have had no damages to date, I personally do not source larger items because I do not sell much regionally to deliver and I pride myself on offering affordable shipping options. 100 lbs is max weight for a bus package. I am not sure of the dimension restrictions, but I have heard small couches have been known to travel the country via the bus. 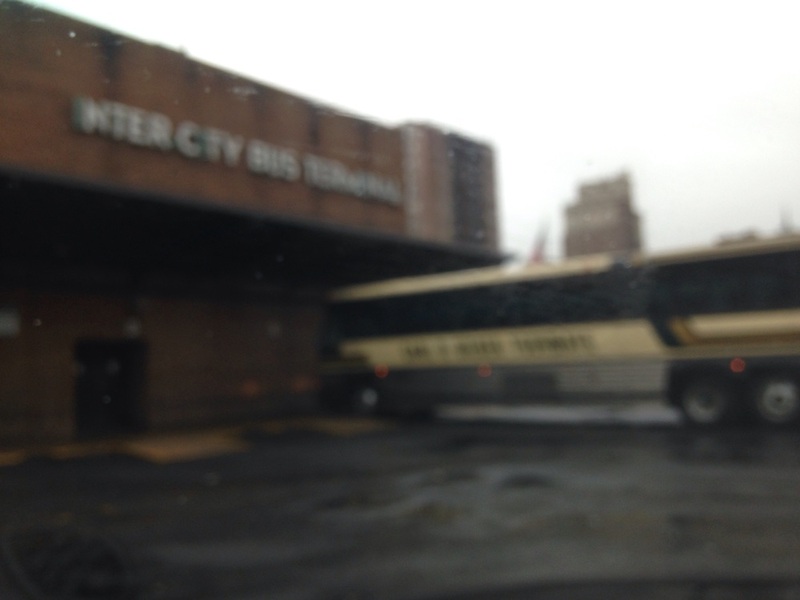 I have a local bus company, Bieber Tourways, which takes my packages to Greyhound in Philadelphia. I pay cash at the station. The only time I have to drive a package to an actual Greyhound Station is when I use the ship to door service. More on that in a bit. The first thing I do when I get a quote request or sale is find out what station they are picking up at. Not every station listed on Greyhound's list will accept packages. I found this out trying to ship to Branson, MO. My buyer was in Arkansas and this was an hour drive. The Branson station is apparently a ticket counter in a store and have no place to store parcels until picked up. After that experience, I will always call my station to verify if not in a major city. I have shipped to smaller cities in Louisiana. Tennessee and California, so most are good. It is just something to be aware of. I need to pay cash when I ship so you may want to verify methods of payment accepted. Also, my station will not accept prepaid Greyhound labels (required for ship to door service). Ship to door: this service is awesome but the recipient needs to be within 10 miles of the receiving station. Best use? NYC! No one has a car up there and if they do, they only use it to leave town. Getting to Port Authority to pick up is a cab adventure not all want to take! I found that it was a reasonable option, saving my buyer $150 over USHIP and it was only a $20 upgrade. Can't beat that! Greyhound customer service has been great! A call, credit card payment and email later, I print out the label. I had to drop these in Norristown, PA, which is an hour one way, but in this case, I was happy to take as this was an expensive set of chairs! The chairs arrived in NYC that evening and the courrier was calling to schedule delivery. Overall, this is a great, inexpensive way to ship or receive large items! It takes some work to pack and I save larger boxes and pieces of cardboard to use creating my boxes. I will wrap pieces to protect the wood areas. Use stretch wrap to reinforce the box, etc. It takes some time to get the box made and item packed but it is worth it for me to offer this service for my customers. It also requires me to make some calls and do some legwork so if you attempt to arrange on your own, know that it does take some effort to pull off a successful shipment, but the savings you get make it worth it. Most shipments arrive at their destination in a week or less and the recipient gets a phone call when it arrives. Pick up should be made ASAP and please verify with your station their hours and policy as some may charge storage fees if not picked up promptly.